Many ski resorts have felt the effects of recent poor winters. Investment in snowmaking is seen as a way to ensure good skiing conditions no matter what the weather does. Here is no exception. The biggest investment over the summer has been new snowmaking in Les Deux Alpes. Whether the recent trend of drier winters and warm summers is due to climate change is up for debate. It is true that there have always been good winters and bad ones, and these do seem to come in cycles. Either way, there is no escaping the fact that global temperatures are rising and Alpine glaciers are melting. Anything that can be done to improve the reliability of snow conditions has to be seen as a good thing by ski resorts. Many people do have concerns about the sustainability of making artificial snow, due to the high water and power usage and the chemicals that can be used to help the snow freeze. Responsible ski resort operators need to consider carefully how to balance the need for consistent snow with their obligation to protect the mountain environment they rely on for their business. There have been plenty of rumours around the resort lately about the new snowmaking equipment that is about to be installed in Deux Alpes, but nobody seemed to really know any definite details. To rectify that, here is the latest information from the lift company about the current plans. The work in progress consists of two projects. One is to improve snowmaking on the lower slopes while the other will ensure good skiing conditions on the glacier. The first project involves the creation of a second supply line feeding water into the Les Crêtes snowmaking centre. This will more than triple the capacity from 600 to 2000 cubic metres of water per hour. Consequently, all the snow cannons will be able to be used at once. Better use will therefore be made of the shortening window when snow can be produced. Snow can only be made when the temperature is between -4°C and -8°C and the wind speed is less than 15km/h. 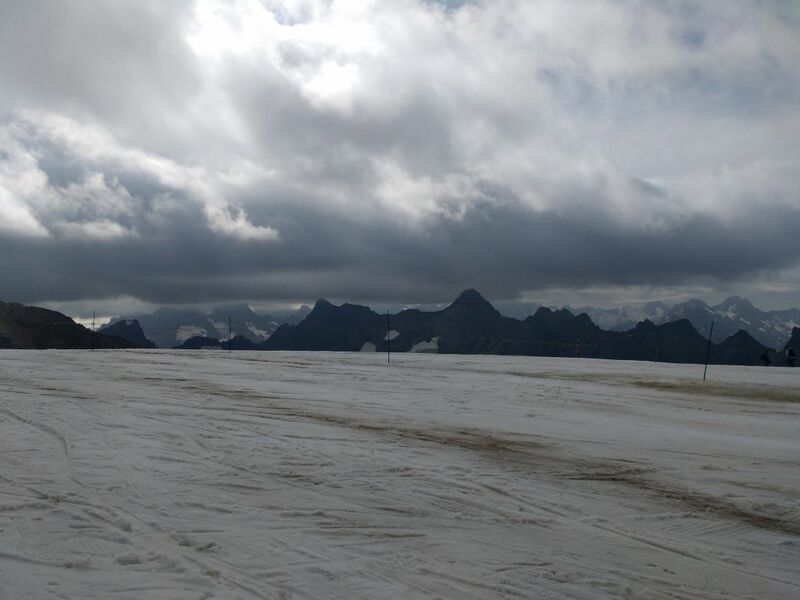 The larger project in the pipeline is the installation of six snow cannons on the glacier. These will be placed along the line of the Puy Salié drag lift between 3200 and 3300 metres altitude. This will be an engineering first or the resort. Snow cannons have never been installed directly on glacial ice at such a high altitude before. The idea is to preserve and to eventually regenerate the glacier. At present it is losing one to two meters of ice per year out of a total thickness of 60 metres. Keeping the ice covered in snow will protect it from melting. The artificial snow will be denser than natural snow. This makes it more resistant to either melting or being scraped away by skis. It will also increase the albedo (reflective power) of the surface as it is whiter than grey glacial ice, further reducing melting. 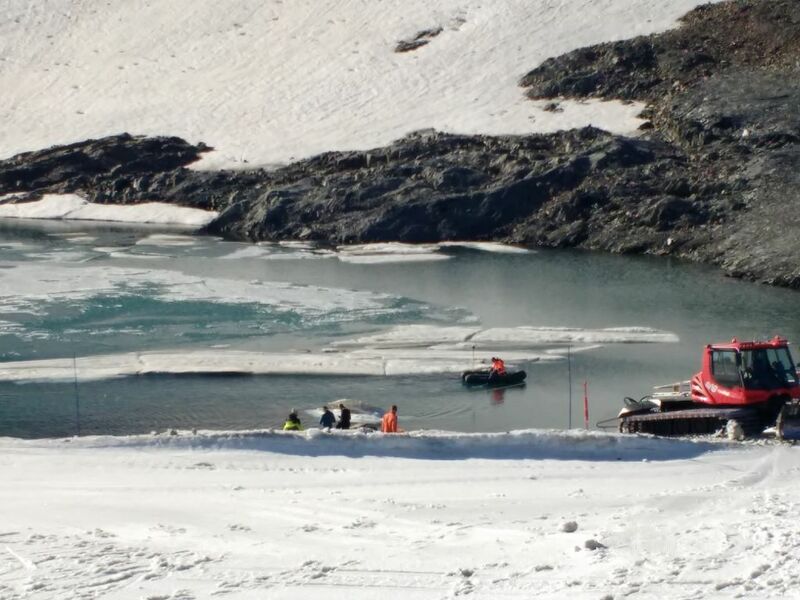 The water for these snow cannons will be supplied from the lake which has formed over the last few years at 3200 metres. This is filled by meltwater from the glacier. In effect, the snowmaking system will collect melted snow or ice and turn it into new snow. Such a closed system should hopefully mitigate concerns about water usage damaging the environment. The snow cannons used will be the TecnhnoAlpin T40 model – a low pressure, fan type cannon. These are mobile and do not require piped air to operate, unlike the fixed snow cannons which line the pistes on the lower slopes. The glacier snowmaking in Les Deux Alpes will cost around 800 000€. It is due to enter service on 15th October 2017.